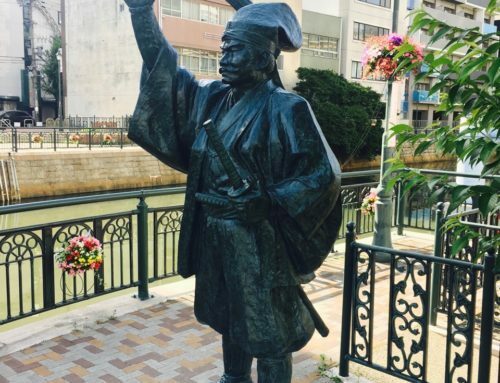 Hosokawa Fujitaka, also known as Yusai was a highly respected daimyo, poet and scholar who served the 13th Ashikaga Shogun, Yoshiteru and the 15thShogun Yoshiaki, before coming into the service of Oda Nobunaga. Born the second son of Mitsubichi Harukazu, a highly ranked retainer of the Hosokawa clan in Higashiyama, Kyoto, he was adopted aged seven by his uncle, Hosokawa Mototsune. His great intelligence was noted at an early age. 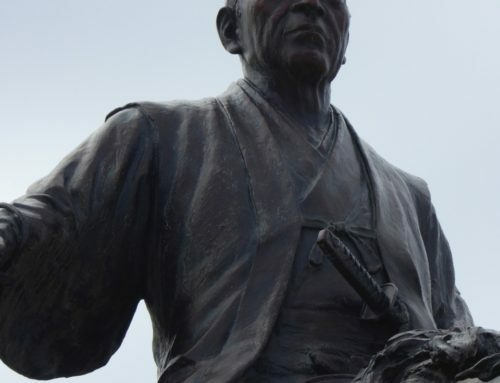 Having been a close advisor to the Ashikaga Shogunate, he came into the contact of Oda Nobunaga, and at the fall of the Ashikaga, served the Oda clan. He was active in many of Nobunaga’s battles fought around the central Japan and Kyoto regions, helping to achieve unification of the nation. To improve relations between his trusted advisors, Nobunaga arranged marriages, such as that of his most trusted advisor, Akechi Mitsuhide’s daughter to Hosokawa Yusai’s son, Tadaoki. 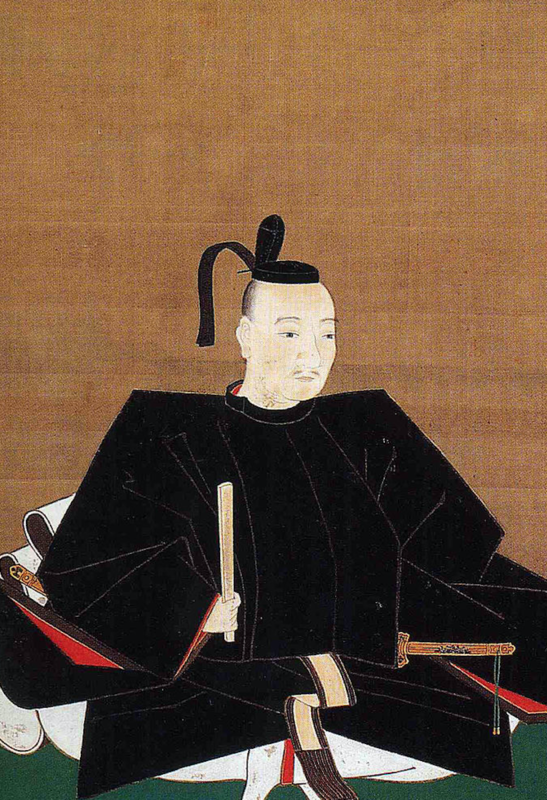 In 1582, Hosokawa Yusai and his son Tadaoki were contacted by Akechi Mitsuhide following his attack on the Honno-ji in which Oda Nobunaga was killed. 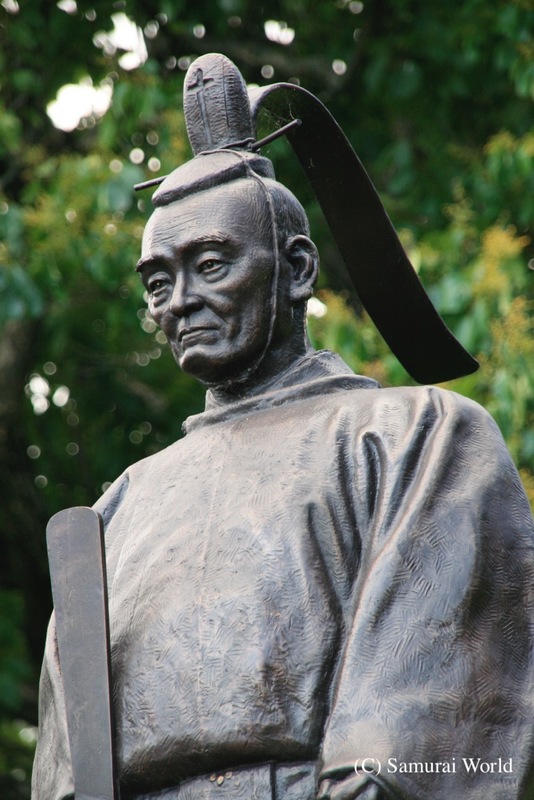 Both father and son, shocked at the tactics, refused to lend assistance, and with the death of Nobunaga, Yusai shaved his head and became a priest. 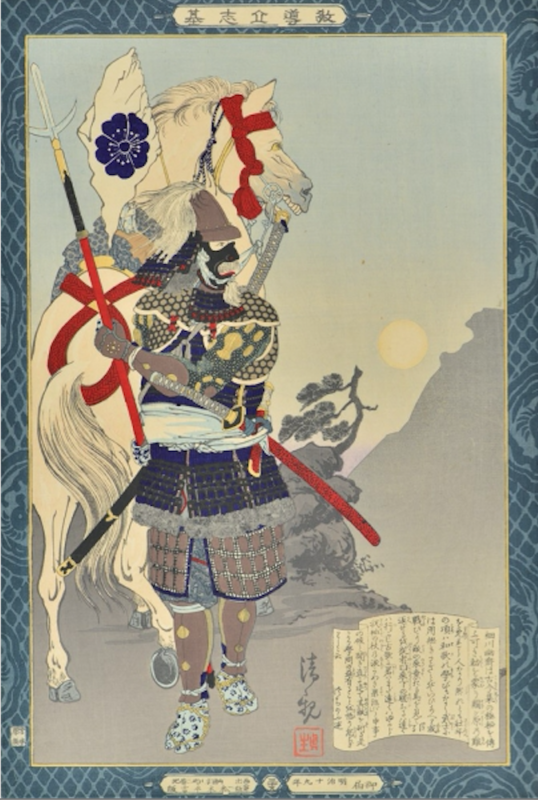 In the lead up to the Battle of Sekigahara, Hosokawa Yusai and his son had been approached by the leader of the Western forces, Ishida Mitsunari, but the Hosokawa had wisely refrained from stating their intentions. 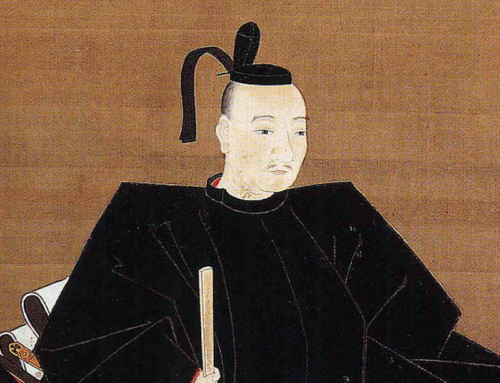 In an effort to prevent the various daimyo from defecting to the Eastern forces, Ishida Mitsunari devised a plan whereby his men would surround and capture the families of any daimyo in the Osaka area to hold them as security. When he attacked the Hosokawa residence, resistance from Yusai’s daughter-in-law, Gracia, resulted in her death. The actions turned not just the Hosokawa, but many other daimyo across to the Tokugawa led Eastern side. Having been notified of the death of his daughter-in-law, Gracia, and of Ishida Mitsunari’s moves in Osaka days before, the semi-retired lord entered his Tanabe Castle in Tango (modern- day northern districts of Kyoto Prefecture) and prepared for a siege.He did not have to wait long. 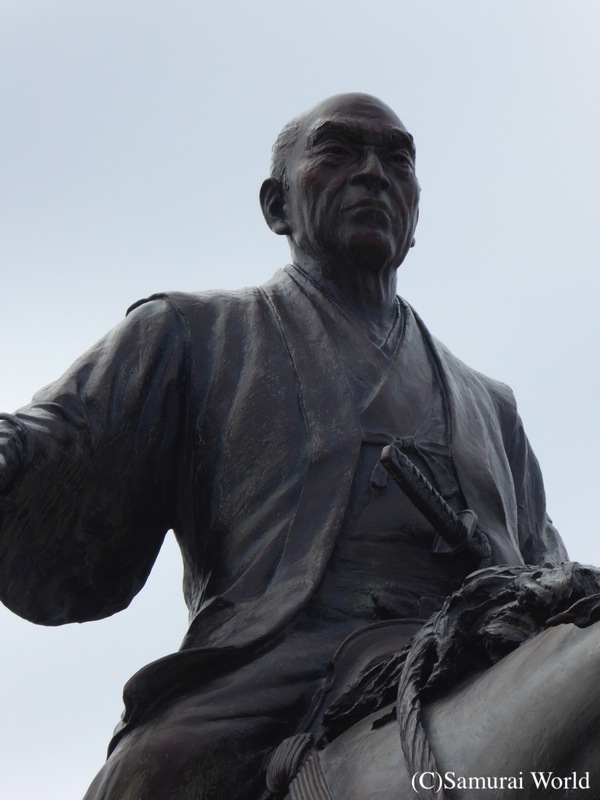 On August 29, 1600, Eastern allied Hosokawa Yusai was attacked by Western troops. Hosokawa Yusai was defiant in his defence of the fortress, though he had just 500 men holding the castle against a force of 15,000. Yusai was 67 at the time, and a brilliant scholar and poet. 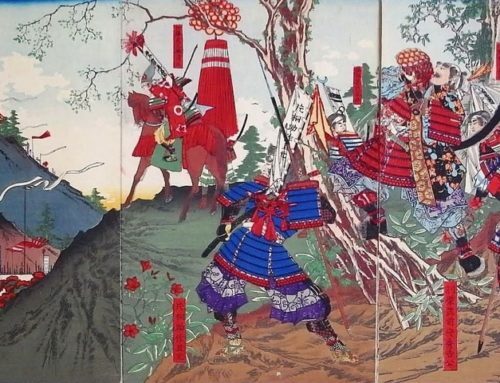 It just so happened that many of the commanders of the attacking forces were former students of the old samurai, and “attacked” only half-heartedly. Out of respect for their teacher, some deliberately failed to load projectiles into their matchlock weapons and cannons, firing off round after round of nothing but gunpowder. Many others in the offensive forces had already considering abandoning the fight with Mitsunari and joining the Eastern army, and barely made an effort to breach the walls. Yusai had a number of rare and important books of poetry in his possession at the time of the siege. One of those books was an edition of the Kokinshu, a 20-volume collection of 1,100 mostly tankapoems ordered by Emperor Daigo and completed in 922. 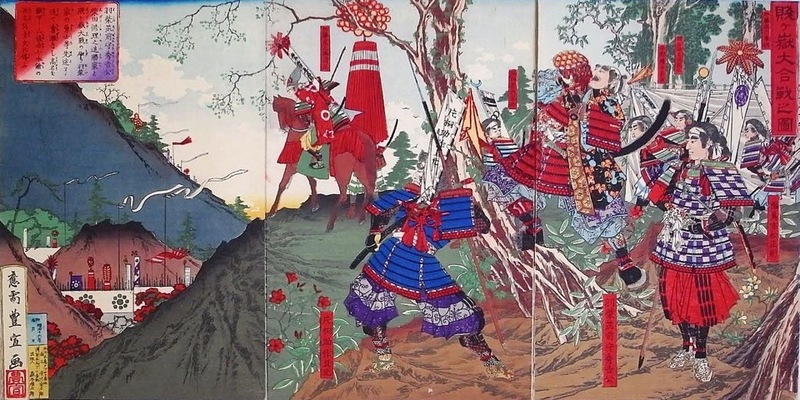 Fearing that these and his other precious books may be damaged in the attack, Yusai sent a messenger to the younger brother of Emperor Go-Yozei, Prince Tomohito, requesting he send Maeda Gen’i to receive the books and pass them on to the Imperial family. When this had been achieved, the Imperial Court, worried at the potential loss of such a distinguished scholar and noble samurai to war, advised Yusai to surrender. However, being a dignified and proud samurai, he steadfastly refused. The resulting siege lasted two months before the western troops disengaged. Yusai was thus successful in diverting 15,000 western troops from joining the main battle at Sekigahara. 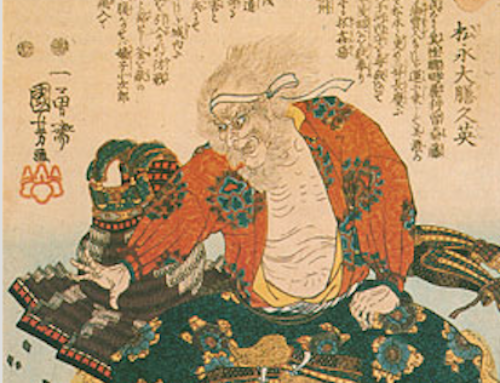 Meanwhile, as Yusai engaged in this diversion, his son Tadaoki represented the Hosokawa clan on the battlefield. Following the action of Sekigahara, Yusai returned to a life of retirement, passing away at the age of 78, and was buried in Kyoto. 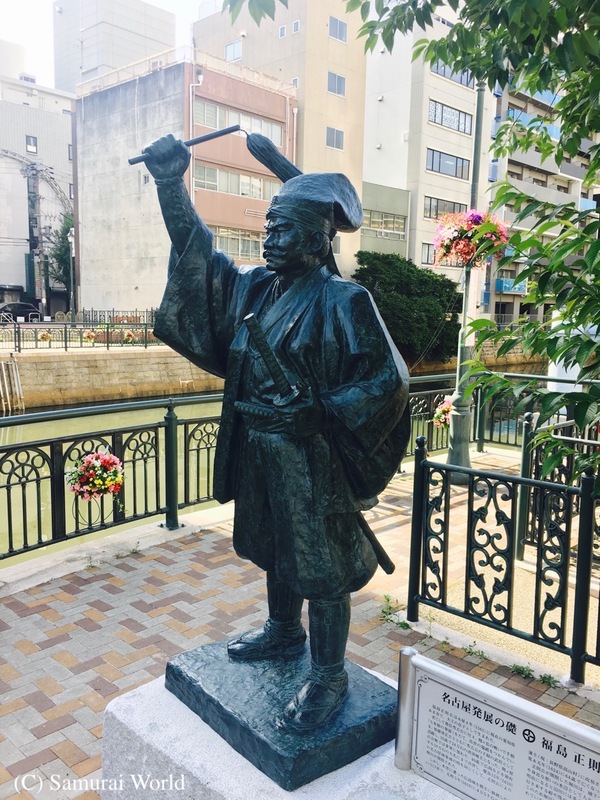 Hosokawa Yusai was an expert swordsman and master of both the martial arts and of literature, the tea ceremony and poetry. 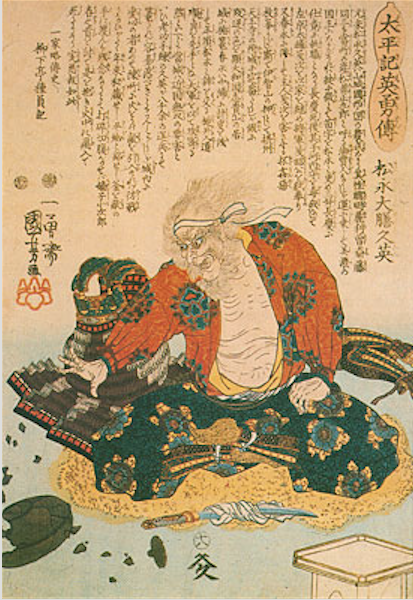 Yusai is said to have had a profound understanding of Go (a chess like strategy game) and a great knowledge of cuisine and the performing arts. He was also a most proficient swimmer and a skilled teacher of the martial and cultural arts.